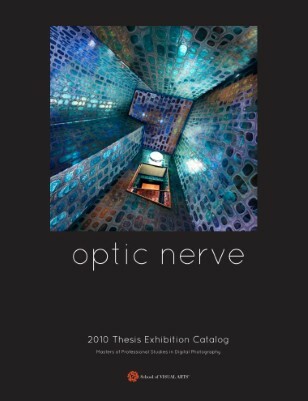 In this catalog you'll find Thesis Exhibition work by twenty-one international students who graduated from the School of Visual Arts with a Masters of Professional Studies (MPS) in Digital Photography. There's a broad range of imagery from photo illustrations and portraits to fashion and fine-art. The forward is written by Michael Foley, owner of Foley Gallery, and the introduction is written by Katrin Eismann, Chair of the MPS program and author of several books, including the recently released "Real World Digital Photography."